The real genius of the Big Society? It can only get Bigger. This article appeared in the London Progressive Journal on 29/09/2011. Last month, swathes of – mostly – poor and angry young men (some women) took to the streets to express an anger with a society that handed out schoolmasterly tellings-off under the guise of sound advice. To them, violence seemed a more direct form of expression than the ballot box that never changes anything, or Westminster’s institutional duplicity. David Cameron became the headmaster-hypocrite from Lindsay Anderson’s 1968 film, If, starring Malcolm McDowell as an English public school revolutionary. 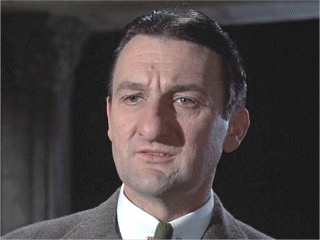 The headmaster, played by Peter Jeffrey, was the benign dictator of 21st-century “new totalitarianism”; said one thing but meant another, blamed the system on its victims, and more than anything, had to come across as reasonable, tough on crime (dissent), but a jolly good chap nonetheless. Clipped, educated and well-heeled in condescension, Jeffrey could well have been playing David Cameron. There is no greater example of this duplicitous image-making than the Conservative’s Big Society. It is the Tories’ most ingenious policy since Thatcherism, because it gives them something to hide everything behind. The Big Society can even hide the party’s latent Thatcherism – almost. In the days after the Riots, our Prime Minister displayed his own well-honed skill for sounding like a schoolmaster chiding a nation of subservient, and occasionally disobedient, children. His speech celebrated our “great country of good people” but didn’t shy from saying what needed to be said. Wrong again. The Riots were a product of Cameron’s Big Society. For two years commentators had mocked all the BS because nobody knew what it meant. It didn’t mean anything, they said. In one sense they were right. It didn’t. But it wasn’t just a cover, the Big Society was part and parcel to the bitterest of all pills – the cuts. By encouraging volunteerism, community spirit and hard work, the Tories were only preparing us for their own policies. It is like Thatcher telling Yorkshire miners in 1982 to apply for a job in a call centre. And this is the genius of the Big Society. It taps into the mythology of trad-Toryism, that each and every crime, Labour government and sleaze scandal is part of an ever-declining “twisted moral code.” The Tories’ old enemies, the Whigs’ and their perennial hike of Progress went up in smoke with the Holocaust. The Conservatives’ has fortunately only ever got worse. By constantly moving the goal-posts, and taking their Big Society with them, the Tories can explain away the closure of Jobcentres nationwide, of reducing housing benefit, cuts to front-line services like youth clubs and childcare (riots anyone? ); of four out of five local authorities cutting library services, the refusal to build more social housing after “right to buy” damages; of higher (youth) unemployment, hurting local authorities, all-out class war, social fragmentation, privatisation of the National Health Service, and the breaking of all kinds of mandates made in the 2010 general election. Many of these actual results are in direct opposition to the claims of the Big Society. You can’t knock them for their brazenness. They’re just incredibly arrogant, insatiable, and full of snobbery and self-confidence. The truth is – and always will be – Cameron and the Tories made this. They have created a clever, elaborate and utterly shameless myth behind which they are continuing the Thatcherite project of international capitalism, privatisation and domestic self-destruction well into the 21st-century. Excellent – my view can be reflected in the fact that Cameron merely points with purpose.